Chance Cassidy | BMSS, LLC. 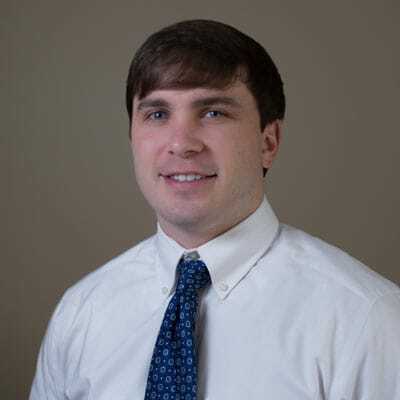 Chance joined the firm in 2016 after graduating from Jacksonville State University. He works in a large variety of industries but mainly focuses on tax preparations and audits for businesses and individuals. A patient and hardworking person, Chance is willing to do anything he can for the client, citing the quote from Thomas Edison “There is no substitute for hard work.” Chance also aims to treat others as he would want to be treated and uses this ideology to ensure the client always has their needs met. Chance was born and raised in Glencoe, Alabama, and currently resides there with his wife, Jordan. He loves to spend his free time with family or out on the river. He also enjoys both playing and watching basketball and football.